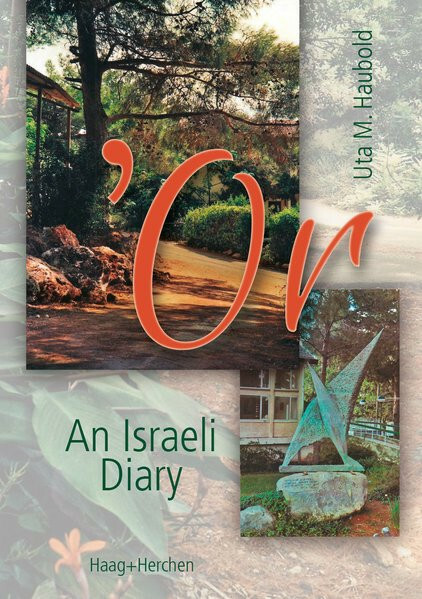 Uta M. Haubold, born in 1966 in Hamburg, worked for a number of months as a volunteer in the Beit Oren kibbutz, Carmel mountains in Israel following her high school graduation in 1986. She then studied English, educational theory and German for two semesters in Heidelberg, where she afterwards graduated as a sworn translator. From 1991 on she worked in the newspaper production department of a Heidelberg scientific publisher. Unfortunately, the Beit Oren kibbutz burnt down completely at the end of 2010.